Thankyou for being part of the Blank Noise community. 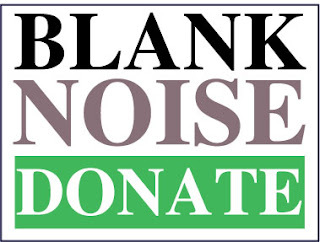 Blank Noise is volunteer led, and volunteer run. With this post we open ourselves to funding! 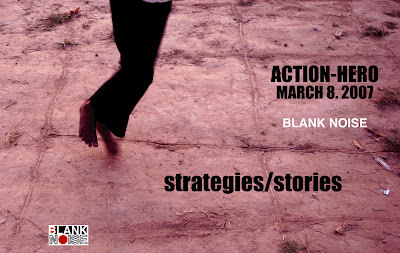 On April 13th, 2007, Max Mueller Bhavan / Goethe Institute Bangalore will host the first public exhibition of Blank Noise. The exhibition will present a documentation of the project through a multi-media arts installation using photographs, sound and video. It will be centred around the debates of looking and the gaze, and of modesty. 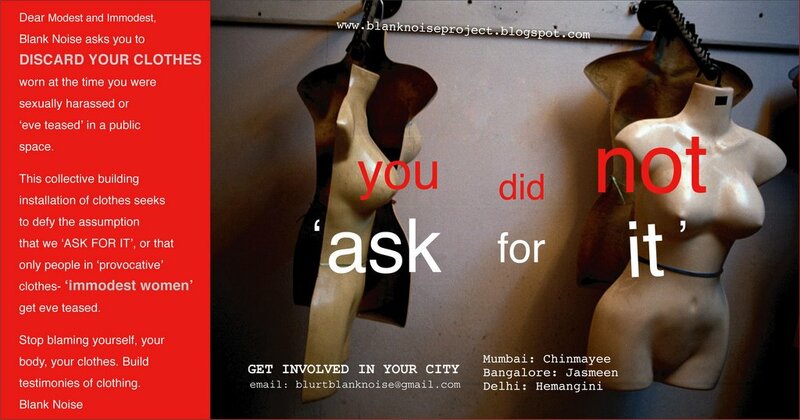 The exhibition proposes to bring forth and challenge common attitudes towards women and street sexual harassment. We would like your support in the form of sponsorship to make this exhibition happen. Personal contributions are welcome.To sponsor please email us at blurtblanknoise@gmail.com subject titled support. What's right? What's wrong? red lips? lose hair? short clothes? a bra strap? cleavage? tight clothes?? The statements received will be visually represented through photographs which will be part of an exhibition in Bangalore April, second week. Anonymity will be maintained. The photographs will also be updated on the blog. We may not agree, and that's not the point. We all draw lines in the sand. What is your line of control? It was March 8th but it wasn't just about the day. It was about what we have to fight for, through the year: our right to occupy public spaces without being being molested, abused, threatened, humiliated, harassed. And occupy it, we did. In the most visible way possible, on one of the busiest streets in Delhi, at ITO, volunteers from Jagori and Blank Noise stood in a line right next to two traffic signals, forming 'Y R U LOOKING AT ME?' in English and 'KYA DEKH RAHE HO', in Hindi (using Devnagari script this time). Others simply wore the upwards pointing arrow. This was one of our more complicated interventions. We'd done a similar exercise near Saket, a few months ago, but that was less strenous space, traffic-wise. Abigail had to go check out the space a few days before and figure out whether we could do this without turning into a traffic hazard. As it turned out, we could. The idea is to make our statement (KYA DEKH RAHE HO?) by standing across the road when the signal turns red and to move away and stand on a traffic island or road divider, while the signal is green. We face the other way; that enables people on both sides of the traffic signal to see us whenever they have to be stationery. There are (at least) two purposes served. One, we generate interest simply by being on the road, women in a line facing the traffic. Two, the statement was a sort of reverse challenge. Usually, we are made uncomfortable when people stare at us. Through this action, we dare them to look at us, and ask them to think about this act of looking. At the same time, volunteers were passing out pamphlets describing the criminality of street sexual harassment, as well as testimonials and helpline booklets. The traffic signal action ensures that enough interest is generated that people, eager to figure out what this is all about, actively ask for the pamphlets. Some take photos. Many will hang around and watch. This intervention was especially interesting in terms of the response from the police. The traffic police had no objections at all, once we told them what we were attempting. They actually helped guide us, so that we knew when the signal was about to change to green and could move away. Even the traffic volunteers were helpful and polite. The other police, however, (dressed in khaki) were most uncooperative. First, about three of them strolled over and told us to clear off. This was when the signal was red, and we were standing there, blinking into the headlights. One of our male volunteers spoke to them, explaining that we were not disrupting anything, merely moving as and when the signals permitted. However, the khaki cops were convinced that we were a hazard; or worse, trouble-makers. One of them kept yelling - 'this is totally unnecessary' - waving his baton and telling us to move. Some of us attempted to say that it was very necessary, but our voices barely registered. Next, they threatened us that we would be removed forcibly, if we didn't move right ourselves. They said they were calling for women constables any minute. Towards the end of the intervention, we saw a little fracas on the sidelines. One of our women volunteers was arguing loudly with a man, who was referring to himself as a citizen, talking about responsibility, and for some strange reason, rolling up his trouser leg. Our lady was arguing back, saying that people like him never intervened whenever women were being assaulted. After the argument was over, we learnt that the man was a plainclothes cop, a certain DSP Yadav. He had been rolling up his trouser leg to show off his bullet scars, to prove that he has been in encounters with criminals, and therefore, a good guy. And that what we were doing was unnecessary, and irresponsible. We dispersed, however, only when we thought we'd done enough. After some chatting at the bus stop, we discussed the next possible intervention, our feelings about this one. It was agreed upon that we really must do something about the police and their attitudes to women being out on the streets. share. talk. inspire. understand. tell. speak. hear. be heard. narrate. voice. throw open. Being a 'HERO' is relative . We are interested in knowing how you challenged yourself or didint feel victimised? You could also be an agent- the one that collects stories of confrontation/ of heroism from your mother, grandmother, cousins, domestic workers, people in your office, the vegetable vendor, the woman bus conductor...anyone! To confirm your participation, announce the event on your blog and email us the link right away! 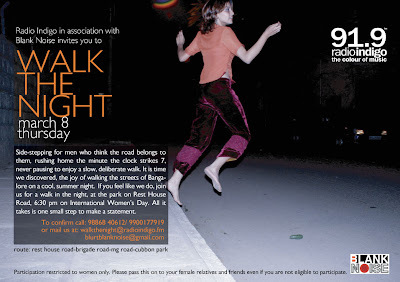 This year on International women's day, March 8, Blank Noise supported by Radio Indigo invites you to WALK THE NIGHT! We are meeting at rest house road, ( off brigade road) park at 6 30 pm. The walk begins at 7 pm. We conclude at 9 pm. Bring along your friends, family, neighbours anyone, any age group!